The recent merger of Dana Point Harbor into O.C. Parks will give the county’s public works and real estate departments roles in managing the long awaited revitalization project. Merger ends Harbor Department’s 11-year run as an independent operation. SANTA ANA — The days of Dana Point’s Harbor Department acting as an autonomous entity are officially over as the Orange County Board of Supervisors voted last month to merge the independent agency into O.C. Parks. Ironically the vote for the merger came less than one week ahead of Independence Day. Supervisors voted in favor of the merger on June 14 and then again on June 28 as part of the county’s budget hearings. The harbor’s $41 million operation for fiscal year 2016-17 will now be overseen by O.C. Parks. The county’s public works and real estate departments will also have roles in managing Dana Point Harbor’s revitalization project. Orange County Chief Operating Officer Mark Denny said the county’s chief real estate officer will serve as the point person for the revitalization project and Request for Qualification process. O.C. Public Works will lead all construction work during the revitalization. The harbor’s operations were initially part of O.C. Parks when it was first created. Dana Point’s Harbor Department was separated from O.C. Parks and created as an independent entity on April 12, 2005. Denny said at the time the separation of harbor operations from O.C. Parks made sense because all signs indicated the planned revitalization project was on the verge of moving forward. O.C. Parks will be able to assume harbor operations without requiring additional funds or staff, according to Denny. “There are no additional resources being requested for the harbor. In fact there is a reduction in two positions that would generate a little bit of savings,” Denny told supervisors. Board of Supervisors Chair Lisa Bartlett said the cost savings would be about $200,000. One of the positions cut is the position held by former harbor director Brad Gross, meaning Denny will remain aboard as interim director for only a short time. “I think that moving [Dana Point Harbor operations] into O.C. Parks is going to not only result in cost savings but also greater efficiency,” said Bartlett. 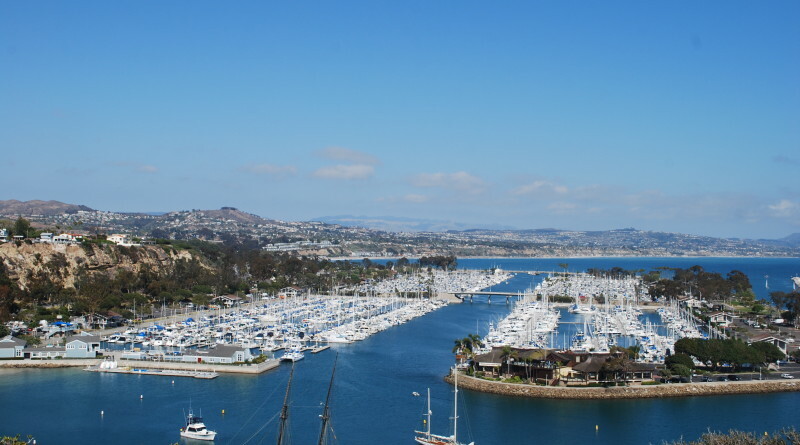 Merging the Dana Point Harbor Department into O.C. Parks was spawned from a county audit report published in mid-May. The report revealed county employees at the harbor regularly used an unauthorized hotel discount program at Dana Point Marina Inn from 2009-2015. As previously reported in The Log county employees used the discount program to rent a room at Dana Point Marina Inn for $35 per night. The same room type was offered to the general public for $162 per night during Memorial Day weekend. Gross, who reportedly approved many discount requests, resigned from his post as harbor director one day before the audit report was publicly released. At least three more reports from Orange County’s Auditor-Controller’s office will be made public in the next few months and is expected to further scrutinize the former harbor department’s operational practices, among other things.